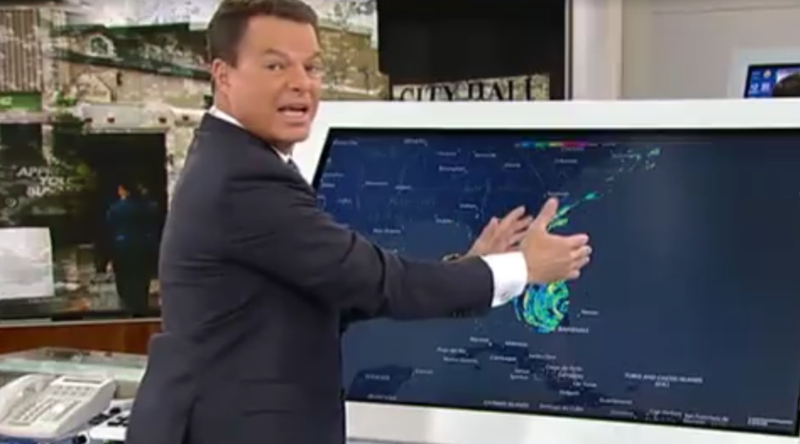 Fox News anchor Shep Smith summed up the severity of Hurricane Matthew in no uncertain terms during a broadcast Thursday, warning people to evacuate or die. “This moves 20 miles to the west and you and everyone you know are dead, all of you because you can’t survive it, it’s not possible unless you’re very very lucky and your kids die too,” he continued. Smith pointed to a map of Florida and reiterated that luck was the only thing that could save those who don’t evacuate. The anchor also asked viewers to take his weekend plans into consideration, urging viewers not to ruin them by “perishing” in the storm as he has a family wedding to attend and doesn’t want to be called into work. “If you’re supposed to get out go ahead and get out because if too many of you perish they’ll send me down there and I need to go to this wedding,” he said. Hurricane Matthew has been downgraded to a category 3 storm by the National Hurricane Center as it gains ground on Florida. States of emergency have been declared in Florida, Georgia, North Carolina and South Carolina, and evacuation orders issued with more than 11 million people living within its projected path. It has already struck the Caribbean, leaving more than 300 dead in Haiti. The National Hurricane Center said at 7 a.m. local time that the western edge of Matthew’s eyewall (the area where the storm is strongest) was 35 miles (56km) east of Cape Canaveral, with top sustained winds of 120mph (192mph). The center of the storm was heading for Florida at 14 mph. Shep Smith also spoke with a woman in Florida who had decided not to evacuate, telling the camera before the conversation that "I'll ask her why she's staying, and if she expects us to cover her funeral." Smith was echoing the words of Florida governor Rick Scott who urged people not to risk their lives and to obey evacuation orders. The Weather Channel has also urged people to realize the magnitude of the situation, explaining forecasts and warnings are “not hype or hyperbole”. However, not everyone believes the official warnings. Drudge Report founder Matt Drudge took to Twitter to suggest the government was exaggerating the intensity of the storm to make a point on climate change. Drudge’s comments were met with a backlash from meteorologists who accused him of politicizing the crisis.